A visual created to help share how Bloom's Taxonomy can be used in regards to learning, technology. This resource was reviewed using the Curriki Review rubric and received an overall Curriki Review System rating of 2, as of 2006-10-14. 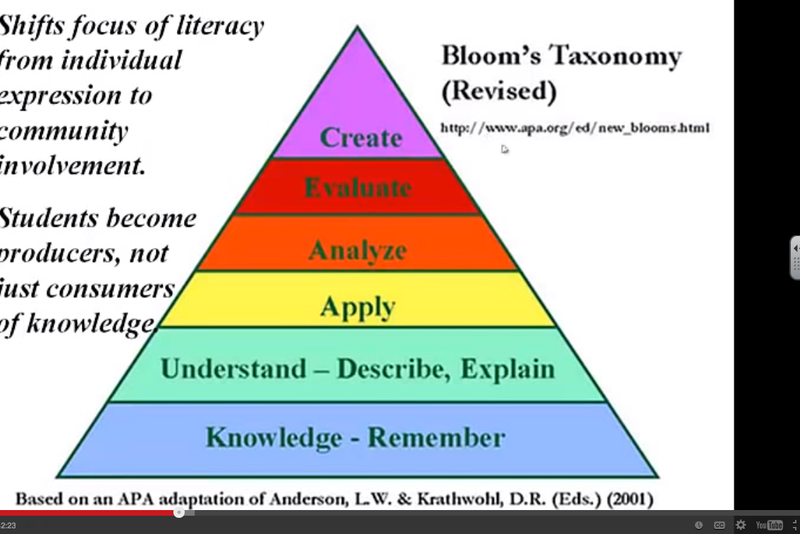 Interesting adaptation of Bloom&#39;s Taxonomy to technology integration and literacy. This visual was provided and shared with me by Sheryl Nussbaum-Beach through an online course I took with her on online and Blended Learning.